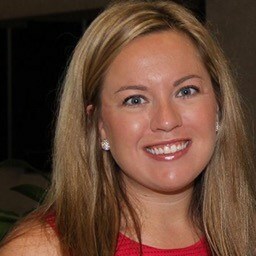 Well, I haven’t…this is my first attempt at blogging so hang with me. I’ll admit it’s a lot harder than is sounds. In fact, I had a case of “BLOGGERS BLOCK.” So, I turned to an expert. “Alexa, how do I write A BLOG?” Unfortunately, she wasn’t a lot of help. Why wasn’t this making any sense? Then it dawned on me why I had #BLOGBLOCK. I’m a Baby Boomer. We didn’t grow up with blogs, or Smart Phones…and don’t get me started on those meme things. We had a phone in the kitchen, with a tangled ball of CORD that unwound itself long enough to stretch into the den for some privacy. 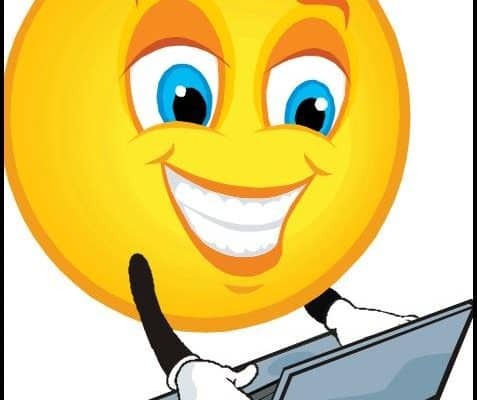 It was a great feature when you were talking to someone that had “Friended” you at school. But the whole house could hear every word, and they listened. That was the topic of several therapy sessions. Don’t get me wrong, progress is great. I acknowledge that as I sit in my jammies with my laptop Googling blogging – instead of getting in the car, popping in my favorite 8-track and driving to the big brick building with the words LIBRARY on the front. 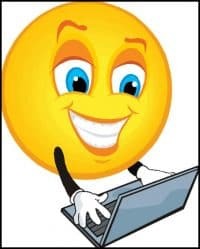 I diligently continued my internet research until I found enough information to help me get started. One writing tip was to NOT let your blog “get fat.” Apparently, fat becomes the enemy of writing: Don’t aim to entertain by calling attention to itself. This theory should be relevant to Architects and Builders reading this; you don’t look at a beautiful building and just admire its nice roof, you look at it and admire all the little things that go into the entirety of the structure. It’s a shame that some people don’t pay attention to the details. At TERM we appreciate that the Devil’s in the details. That’s because we understand what our details accomplish and the impact we have been having on buildings way before video chats, and Twitter. For over 60 years we’ve been manufacturing products that allow beautiful structures to remain beautiful. 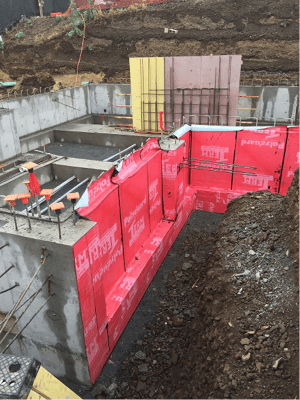 Think for a minute what might happen if your structure could not depend on the important construction details Polyguard provides…like air & moisture barriers, TERM underlayments & foundation barriers, below grade waterproofing, window and door flashing. We know that before Unlimited Data Plans there was Polyguard, in all its deserved glory, manufacturing products that have established the groundwork for beautiful homes and buildings everywhere. I really don’t consider that fat; I consider that something to be extremely proud to be a part of…I know I am. 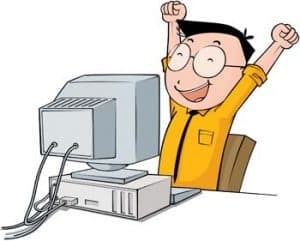 Whew…first blog box checked ? When did simple products like paint, toothpaste, detergent, or deodorant, start to have multi uses? Think about it, practically everything on the shelf now has a dual, triple or even higher purpose for our convenience. But you have to admit, you feel better when you buy a gallon of paint for the living room, and you don’t need to prime the walls first to cover the old color. And what about a detergent that fights stains, odors and safely whitens clothing, all in a squishy little pod. Wow, we have it good. This innovation trend hasn’t escaped the Building Materials Industry. I’ve been in the business all my life, and I have marveled at how it has evolved. I remember when fluid-applied air barriers first hit the market. Before you knew it, the market became saturated with fluid membranes that were thin or thick mil, breathable or non-breathable, commercial or residential. It was confusing and a red-ocean market for anyone trying to sell an air barrier. Well, my friend, Air Barriers are here to stay. They are the answer to the age-old problem of “How do I keep the outside air out and the inside air in?” Most products on the market are tested to ASTM standards for air and water leakage and puncture resistance. That makes sense, after all, they need to stay adhered and provide the function they are labeled for, “Air & Vapor Barrier.” But Mr. Air Barrier Maker what have you done for me lately? I mean, it is a great product, offering protection from outside air and vapor, but can’t it evolve into something greater? Where is my “multi-use” air barrier? Something that can keep all of it out; air, moisture, pests, nasty things that crawl and chew. If we can keep out all these things out, that would be a product that could revolutionize the industry. Customers don’t just want waterproofing protection anymore; they want a product that can provide the added benefits of pest exclusion. Why should they accept that spiders, cockroaches, ants, mice, termites, (shall I continue?) be able to find ways into their structure if they have a decent Air & Vapor Barrier installed? Air Barriers providing 3-in-1 benefits are going to be the next product innovation, and guess what? That product is already here. Customers are pretty educated; they are going to start asking if the Air & Vapor Barrier that their contractor specified has been tested to keep out pesky critters that can chew, bite or simply crawl their way inside. More is better. It’s time to evolve my friend. Polyguard would like to welcome Craig Bo Young, TERM Commercial Development Manager, Atlanta, GA. Bo was hired into the TERM Division as their Commercial Development Manager on August 27, 2018. His recent experience of more than 30 years with Modernfold, Pergo and Armstrong make him an excellent candidate for this position. He currently lives in Atlanta, GA with his wife. His plans for Polyguard’s future are to “grow sales volume”. Welcome Bo. Let’s face it, no one wants to hear the word ‘termite’. It will make us want to either not listen to what the person is saying, or tense up with our eyes widened and want to hear more. 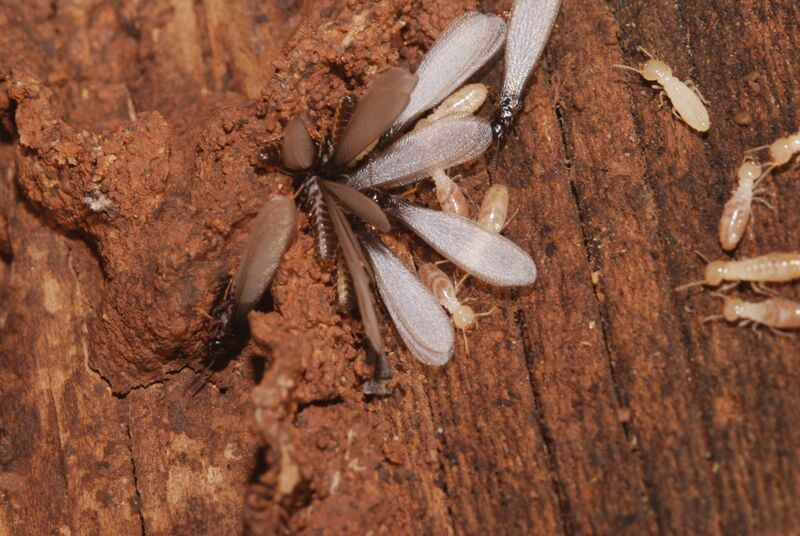 Termites are the most invasive of all pests, causing more property damage than most other pests combined. If you have ever been a victim of termite damage or have known someone that has been a victim, typically you know the only way to control these wood-eaters is by calling a Pest Control Professional (PCP). 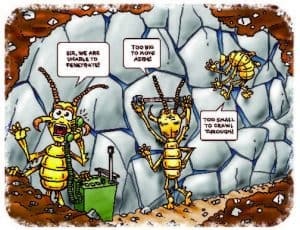 Once the PCP is at your home, they can offer you a few choices: Termiticides sprayed around your foundation and mixed in with your soil, or Bait Stations that have some termiticide in them and once the soldier termites find the bait stations, carry the termiticide back to the queen to hopefully end the colony. These choices had really been your only two best answers. Termiticides work, and there are some very good ones on the market, but they are pesticides. I know you are asking me, well, what are my other choices, if any? Particle Barrier maybe your answer. What is that, you ask? 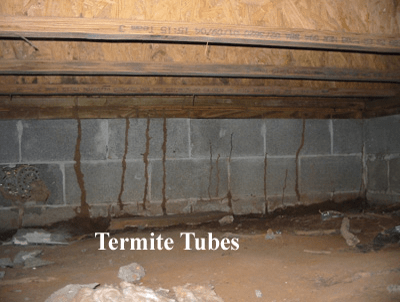 Particle Barriers are a physical barrier that have had many years of solid research and gratifying proven results to stopping subterranean termites of gaining access into homes. Particle Barriers of similar types have been used in Hawaii and Australia for over 40 years. They have been proven to work. But shipping basaltic ash from Hawaii just isn’t worth the cost for anyone to want to pay, and don’t even think about shipping costs from Australia! Crikey! 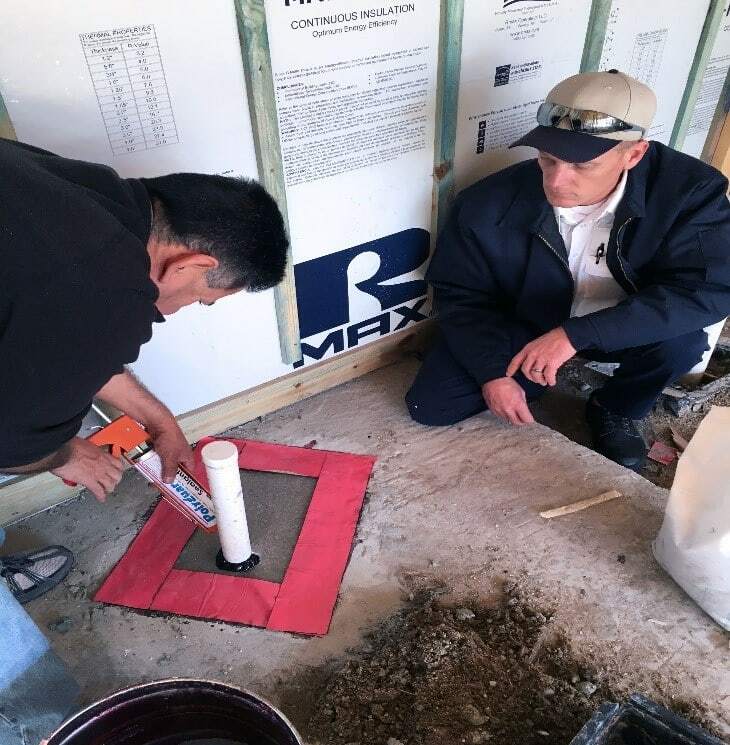 The Particle Barrier is typically installed (poured) into a 4” x 4” trench that is dug around all vertical concrete. You want to protect your structure! Concrete Slab homes have a vulnerable area at every weep hole at the bases of brick homes, and any wood siding homes. You can also choose to install in a “wedge” shaped trench, 6” down on the concrete, 4” out and 5” diagonally. This will provide the same protection. How do these particles work with no pesticide? This is the cool part. (Cool because it has a terrific track record!) The Particles are too heavy for the termite to move, too hard to chew or bite, and they compact so tightly they cannot crawl between. This provides a physical barrier to your property that does not degrade, allows the passage of water, and looks nice against the structure. Particle Barrier should be installed by a licensed PCP. This allows protection for you and a warranty to be provided. Annual inspection is necessary by the PCP. Each PCP varies with their warranties and may require additional inspections. Particle Barrier should not be covered, and needs to remain visible. Particle Barrier may need additional “topping off” if any is disturbed by animals, landscapers, heavy rains. If you decide that Particles are the way to go for your structure, or you would like to use them, say just in your backyard, due to pets and/or children, then we have pesticide-free solutions. Particles can always be used in conjunction with Pesticides when needed (think crawl spaces, patios, driveways). And this is considered a limited impact treatment. The less pesticides you use in your structure, the better off you will be breathing in the future. That brings us all some comfort. Here’s hoping you have a termite-free home and never need us, but for most folks living in the Midwest, South and near the coastline, the chances are pretty high that these buggers are waiting for a new structure to feast upon. When you ask someone which insect they are most afraid of, I would guess most people will say, “cockroaches”. Spiders may be a close second, but then again, spiders are not insects. Did you know that the fear of insects is referred to as entomophobia? I seem to have digressed…. You may be wondering I am talking about cockroaches. Doesn’t the TERM Barrier Division deal with termites? Why, yes! But cockroaches are one of those insect invaders that disrupt the comfort of a structure’s inhabitants. As manufacturers of building envelope materials, Polyguard’s TERM Barrier System not only protects the structure from moisture and energy loss, but insects as well! Talk about double duty! Not only do these materials block entry of insect pests into the structure as physical barriers, but the waterproofing qualities eliminate a requisite for life from the structure: moisture. Without easy access to it, most insects will find the home uncomfortable. Here’s another fun fact for the dinner table: termites and cockroaches are actually in the same order of insects (Blattodea). Though they are not very similar anatomically, they were recently found to be close ancestors through genetic studies. 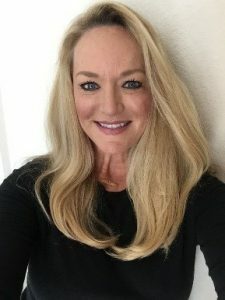 So, what is our primary concern with cockroaches, besides the fact that most people just find the sight of them uncomfortable? 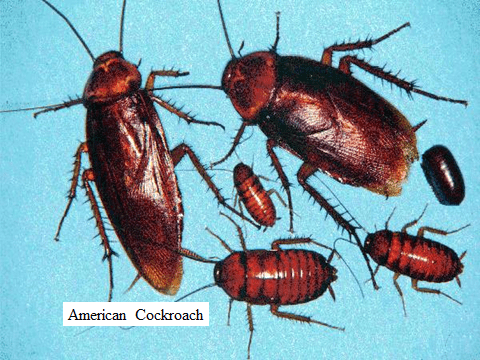 Cockroaches are mechanical vectors of pathogens that cause diseases in humans. 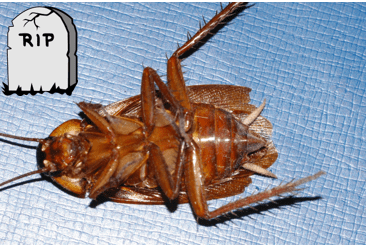 This means that the cockroaches will pick up pathogens from the environment on their feet, bodies, or mouthparts, and transmit the pathogen to your food, or food prep surface. This can all happen without anyone ever seeing a roach! 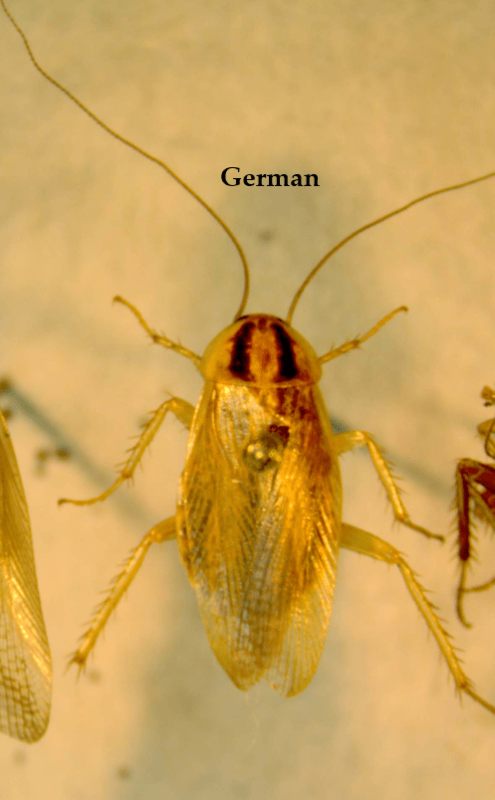 There are many species of cockroaches in the United States that inhibit our homes and structures, but the two most common are the German Cockroach and the American Cockroach. Integrated pest management is the key to controlling cockroaches. While pesticides are a great tool for immediate relief, there are things that you can do around the home or structure to prevent them from ever coming inside, or eliminate their presence. 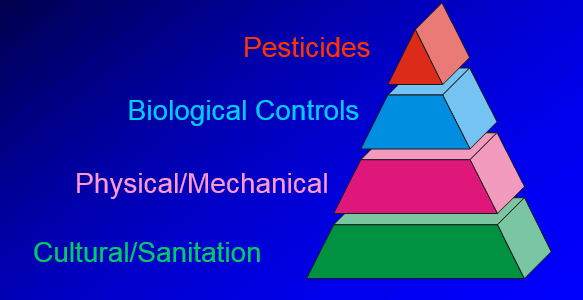 Remember, IPM is an ecological approach to the control of target pests in which all available necessary control techniques are systematically consolidated into a unified program. The goal of an IPM program is to manage pest populations while avoiding economic damage and minimizing adverse side effects. Eliminate sources of food. Store dry goods in sealed containers and get rid of any standing water indoors. This includes pet food! Clean floors. 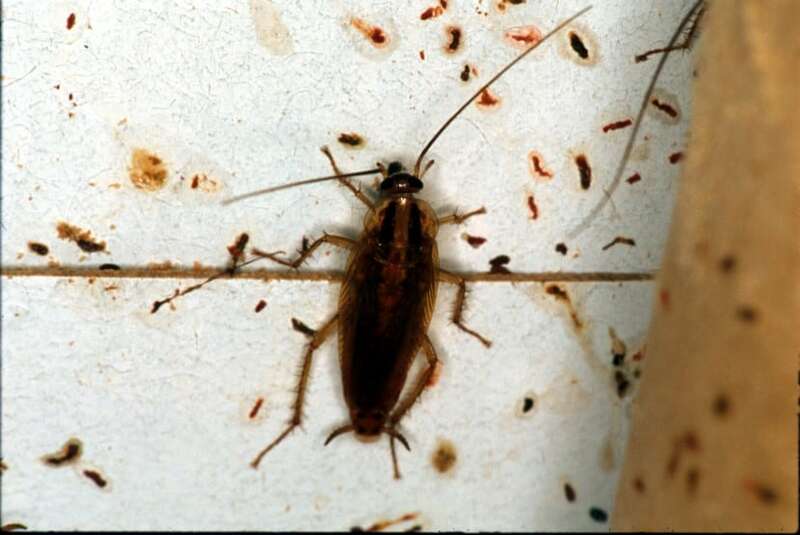 Even the smallest amount of food debris left behind can be a holiday meal for a cockroach. Clear clutter. Paper goods such as newspaper and cardboard boxes provide excellent harborage for cockroaches. Install barriers. The goal is to prevent cockroaches from moving about the home or structure. 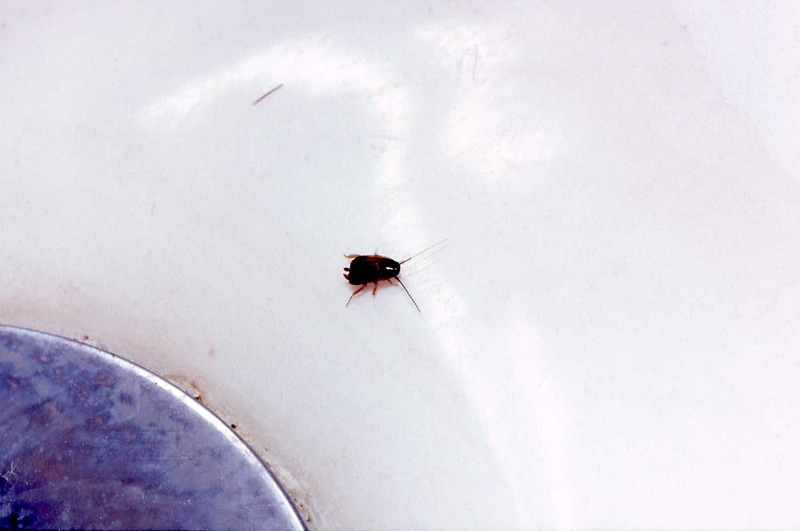 Sealing up gaps around pipes, drains, or wall voids can prevent roaches from invading. 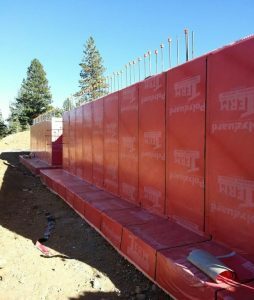 TERM Sealant Barrier and TERM Bath Trap Barriers are excellent tools to use when installing barriers, either pre- or post-construction. TERM Sealant Barrier is one of the easiest and least expensive ways to keep insects out of your home or structure is to protect the plumbing penetrations above the slab. 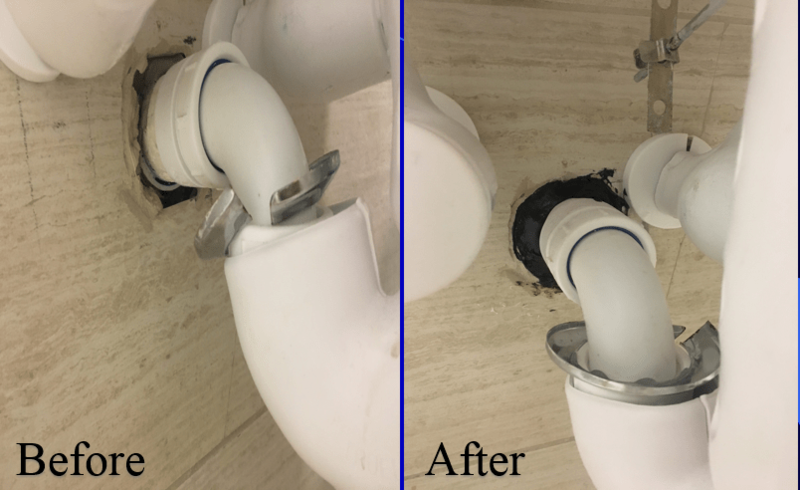 Plumbing and pipe penetrations can provide access to the home or structure through the miniscule openings that occur between the pipe and concrete. I like to refer to this area as a “super highway” for pest intrusion because there is little to stand in the way of a determined pest. 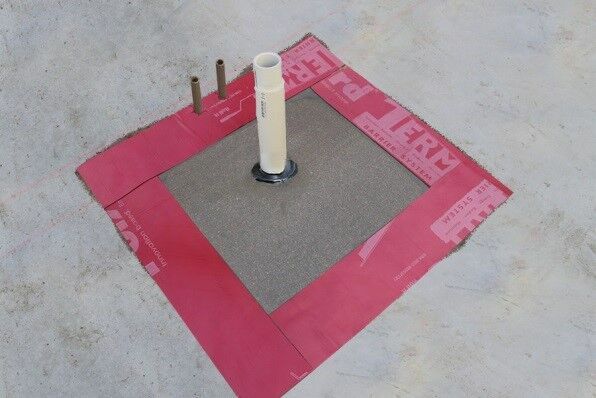 The TERM All-Pest Bath Trap Barrier uses a combination of TERM Barrier System materials to block pests in the slab leave-out. TERM membrane, micromesh, sealant, and particle barrier are installed to block pests that may be seeking entrance into the structure through a vulnerable, yet hard-to-treat, area. 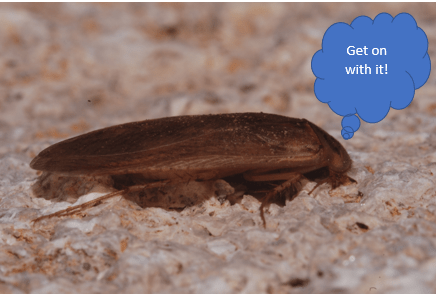 When evaluating a cockroach infestation and your options for control, don’t forget to include barriers in your IPM plan. Barriers like those of the TERM Barrier System are the safest and least expensive form of control. 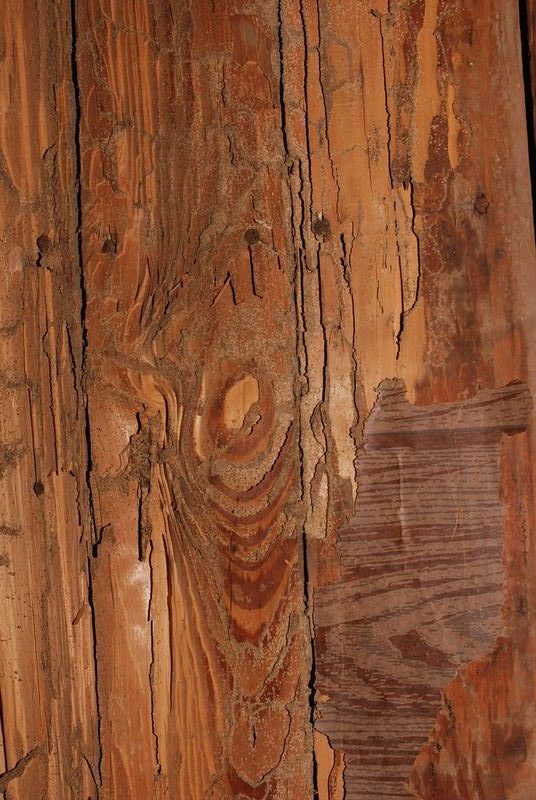 Bridging Industries: Why are we concerned with termites? by Cassie Krejci, Ph.D. 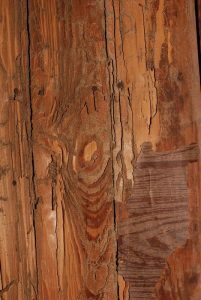 I have written extensively in past TERM blogs about termites and the damage they can do to structures. But why? 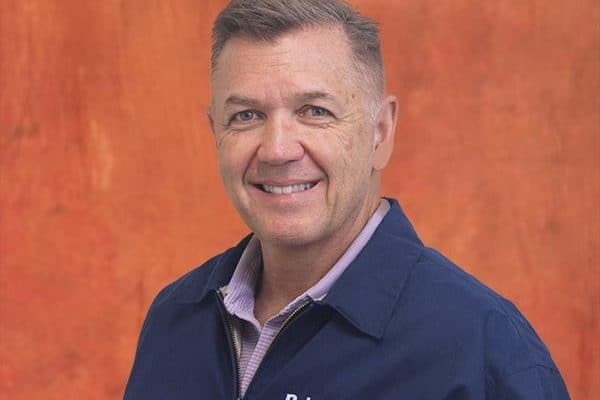 Besides the fact that I am an entomologist, and bugs are just plain cool, I am part of a team at Polyguard that has worked for many years to bridge the building industry and the pest management industry. Current building standards require the use of materials that keep air and moisture out of structures. Recent improvements on these building materials and their installation have made it possible to add termite and pest exclusion to the building envelope as well. 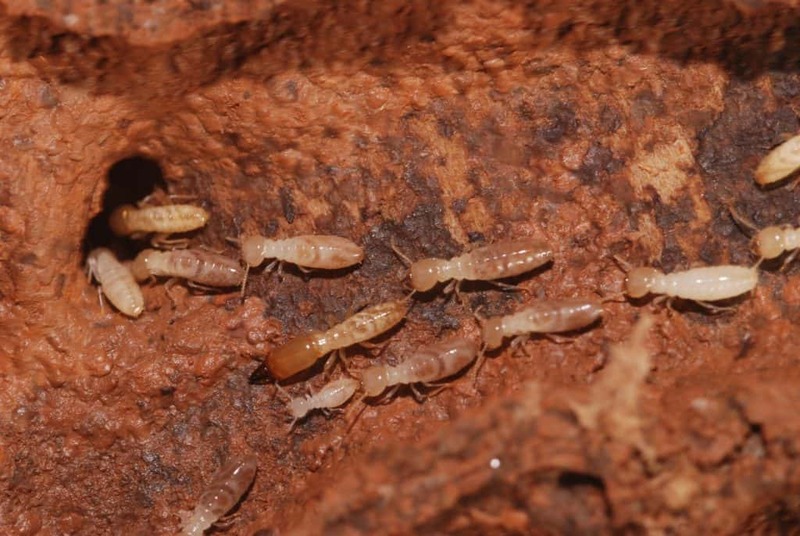 Subterranean termites cause an estimated $5 billion in damage to structures in the United States each year (source). Since termiticide pretreatments are not required in all states, that cost has the potential to increase. Polyguard has manufactured building envelope materials for sealing out water, and for sealing in energy, since 1970. In the TERM Barrier System Division, we have upgraded these same building envelope materials to exclude pests, as well. By not including pesticides in our products, but instead strengthening them and installing them in the structure, we have created a physical barrier. Physical barriers do not kill pests, like a pesticide or a trap would, but instead physically block pests from movement into a structure. Physical barriers are not a new concept, but recent advances in the use of building materials to effectively exclude pests have made it possible to add new dimensions to integrated pest management strategies. Implementation of non-pesticide termite and pest barriers into the building envelope can put long-term pest control options into the hands of the architect, builder, and subsequent owner. Think of Polyguard as an innovator and manufacturer of barriers – not just barriers against moisture and corrosion, but against contaminants like radioactive radon gas, methane, and insect pests. The solution to all of these building envelope offenders lies in the TERM Barrier System. ENNIS, TX – Polyguard Products Inc. announced this week that 2017 marked its 25th consecutive year of top line sales growth for the company. Polyguard’s streak began in 1992 and has withstood the financial ups and downs of the various markets Polyguard serves, including several nationwide recessions. The leadership in place at Polyguard credits this to several factors that make Polyguard a unique company, highlighted in the company tagline: Employee Owned. Innovation Based. Expect More. “Employee owners, historically, take a greater sense of pride in what they do, more responsibility for the overall health of the company, and there’s a system of checks and balances that keeps everyone working for the good of the entire company,” CEO John Muncaster, who has been the head of the company since the mid-1980s. As a result of these increased sales, Polyguard more than doubled its manufacturing capabilities by moving the majority of its manufacturing facility to Corsicana, Texas to keep up with demand. Founded in 1953, Polyguard Products specializes in products which protect surfaces and structures from moisture, water, or other undesired substances. Polyguard is an industry leader in the production of self-adhesive protective coatings for engineering and construction. If you would like more information about this topic, please contact Tre Bischof at 214-515-5000 or email at Tbischof@polyguardproducts.com. Polyguard Products, Inc. has announced that its TERM® Barrier System has received an evaluation report as a Termite Physical Barrier from the International Code Council. Polyguard’s TERM Barrier System joins Termimesh®* as the second Termite Physical Barrier evaluated by the ICC. 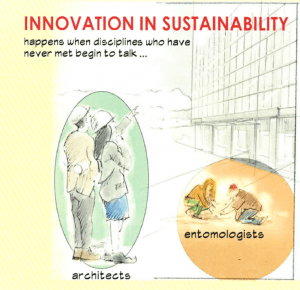 TERM is a termite exclusion system built into the “building envelope”, and is the first building-wide, nonchemical pest exclusion system available to designers and builders for sustainable construction. 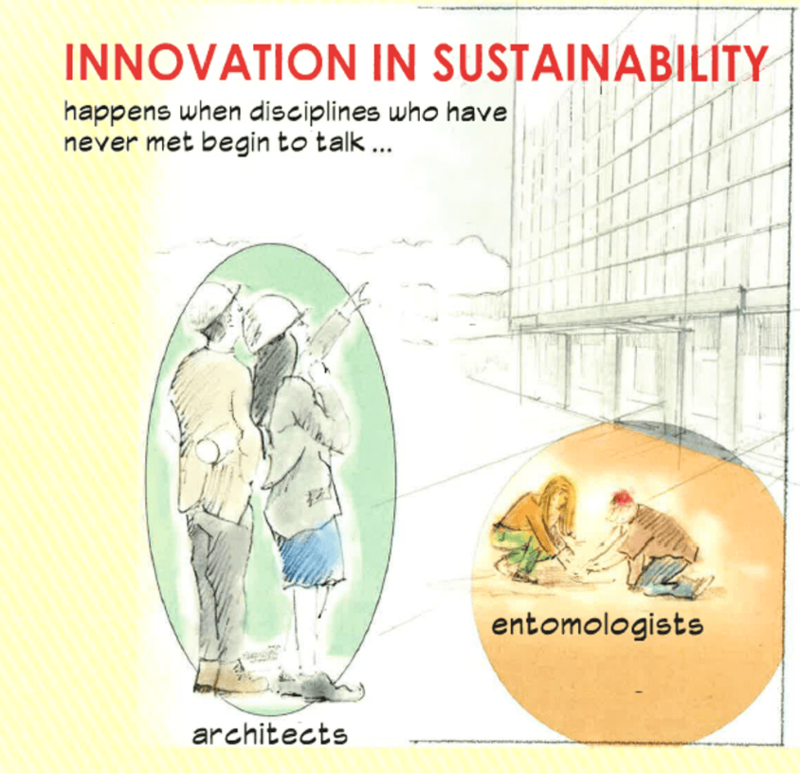 The TERM Barrier concept started at a November 1999 meeting with Texas A&M Urban Entomology scientists. The meeting discussed whether Polyguard building envelope materials, which have been used since 1970 to seal moisture and energy leaks, could be refined to also seal out termites, as well. The 1999 meeting started an 18-year program of lab and field testing with Texas A&M and four other major southeastern U.S. entomology labs. 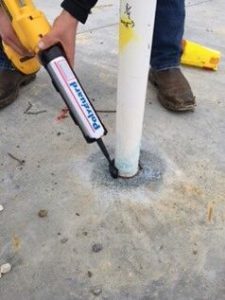 The resulting TERM Barrier System, built in at the time of construction, uses upgraded sealants plus several new design details to add pest exclusion capability. TERM Barriers seal off entry points for subterranean termites, as well as entry points of most other pests around the structure. There are several TERM components where installation by a Pest Management Professional is required or preferred. These are sealant barriers for plumbing or electrical penetration, combination barriers for bath traps and blockouts, sill barriers, and particle barriers at exposed building perimeters. TERM Barriers enable the expansion of IPM within new construction. Sustainable construction standards now call for IPM. IPM, in turn calls for “Nonchemical pest preventive measures……designed into the structure…….”. To meet requirements for the ICC’s AC-380 Termite Physical Barrier standard, TERM Barriers were field tested at four termite-infested sites against both Coptotermes formosanus and Reticulitermes flavipes, which are the most economically destructive termites in the United States. In these 5-year field trials, wood protected by TERM Barriers suffered no damage, while all exposed wood control samples were destroyed. 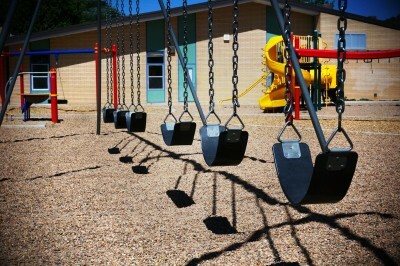 Polyguard Products is a 100 percent employee owned manufacturer of protective materials based in Ennis, Texas. Polyguard employee-owners have generated a constant stream of innovative products, resulting in 25 consecutive years of growth in sales revenue. The International Code Council (ICC), based in Brea, California, is dedicated to developing model building codes which “Protect the health, safety, and welfare of people by creating safe buildings and communities”. ICC Codes have been adopted as the building code standard by most U.S. governmental jurisdictions, as well as by many countries worldwide. If you would like more information about this topic, please contact Dr. Cassie Krejci, 940-577-1830, or ckrejci@polyguard.com. * Termimesh is a trademark of TERMI-MESA Australia PTY LTD. TERM Barriers create a fine-tuned building envelope system, incorporating non-chemical physical barriers which exclude termites, insects, and other pests. Since insects and pests almost all enter structures by penetrating the building envelope, TERM excludes them at entry points around the structure. TERM is an upgrade of existing envelope materials, so the cost of this sustainability improvement will generally be moderate. 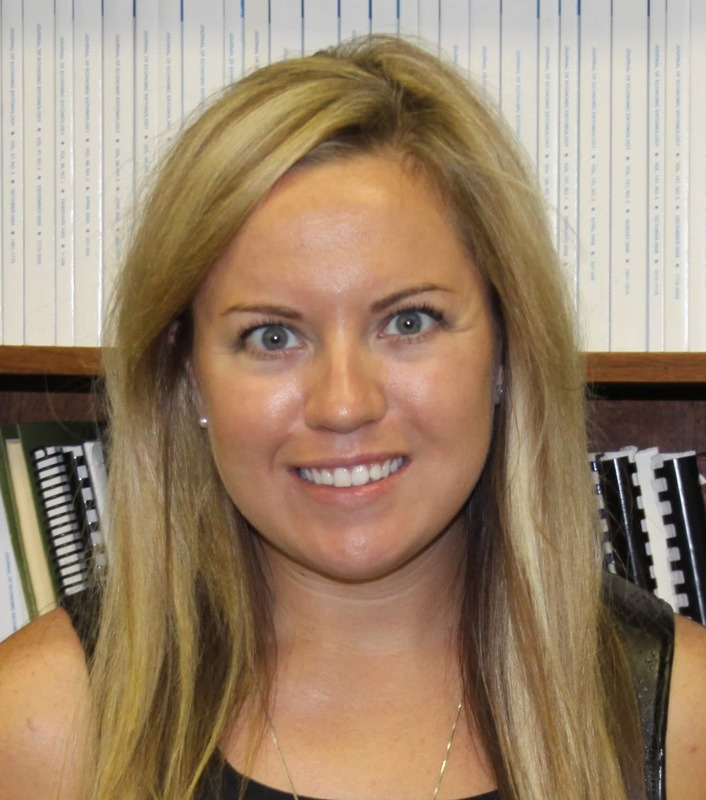 TERM Barriers are based on 18 years of research and university testing. Polyguard has worked with Texas A&M University entomology scientists since 1999. 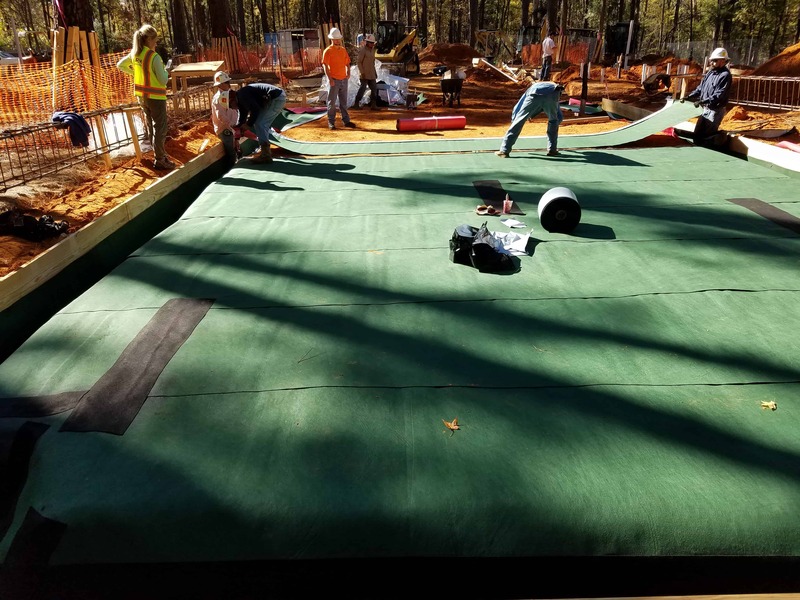 In 2014, the University of Florida, Louisiana State University and the University of Georgia began working with Polyguard. The ICC’s AC 380 acceptance criteria for Termite Physical Barrier Systems closely parallel the stringent requirements which state pest control regulators have for chemical termiticides. Successful field testing for five years at multiple sites, using unprotected controls, is required. 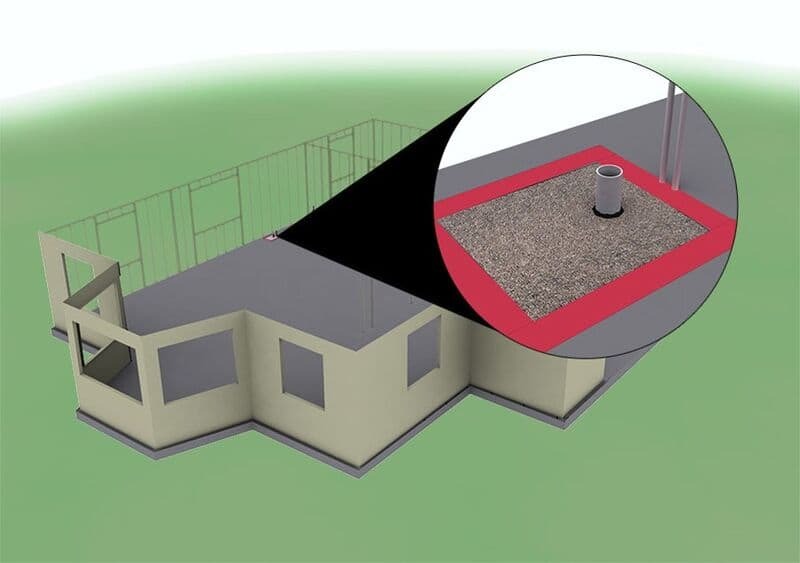 Until now, the only physical pest barrier elements available for designing into the structure have treated specific spots around the building envelope. 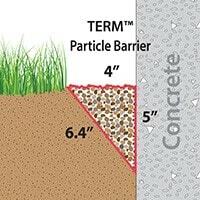 TERM Barriers give a new alternative – materials to exclude pests all around the envelope. Close to 100 percent exclusion can be attained with proper construction. 2. TERM Barrier Systems add a new dimension to the WELL Certification. A search of the WELL Building Standard v1 for “pest” shows 66 occurrences of “pest” or “pesticide”. This frequency speaks to the potential improvement in interior wellness which built-in pest exclusion will bring. With reduced pest entry, buildings with TERM Barriers will experience long-term minimization of the need for chemical treatments. Other sustainability upgrades within the WELL goals include a reduction in pest related health problems and increased peace of mind (comfort) for occupants. 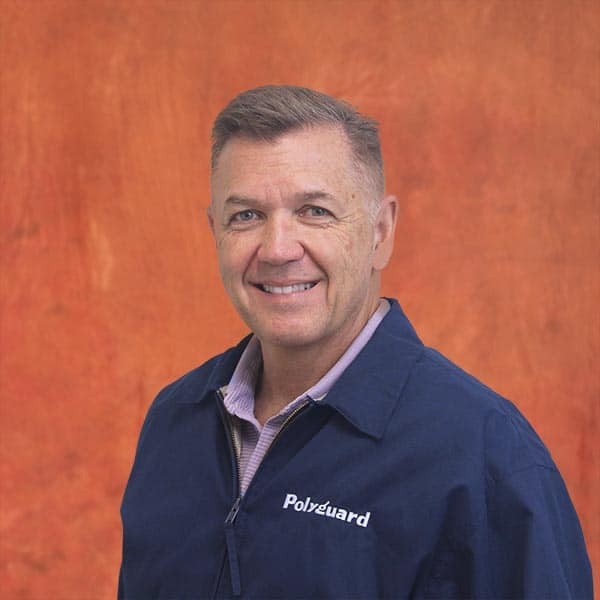 Polyguard Products is 100 percent owned by its employees. On Dec. 31, 2017, the company will celebrate 25 consecutive years of sales growth. In 2017, Polyguard expanded manufacturing capability to over 500,000 square feet at its Ennis, Texas and Corsicana, Texas facilities. Polyguard has manufactured protective coatings for structures and infrastructure since 1952. 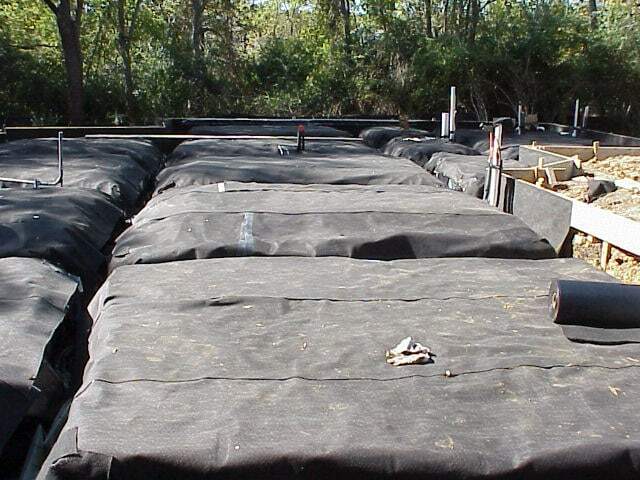 The company’s first building envelope product, 650 Waterproofing Membrane, was introduced in 1970. Polyguard Barrier Systems Division will be at Greenbuild booth #1061 Nov. 8–11 in Boston. If you would like more information about this topic, please contact Jill Heidorf, 469-500-9402, or jheidorf@polyguard.com. Please visit www.polyguardbarriers.com for more information.